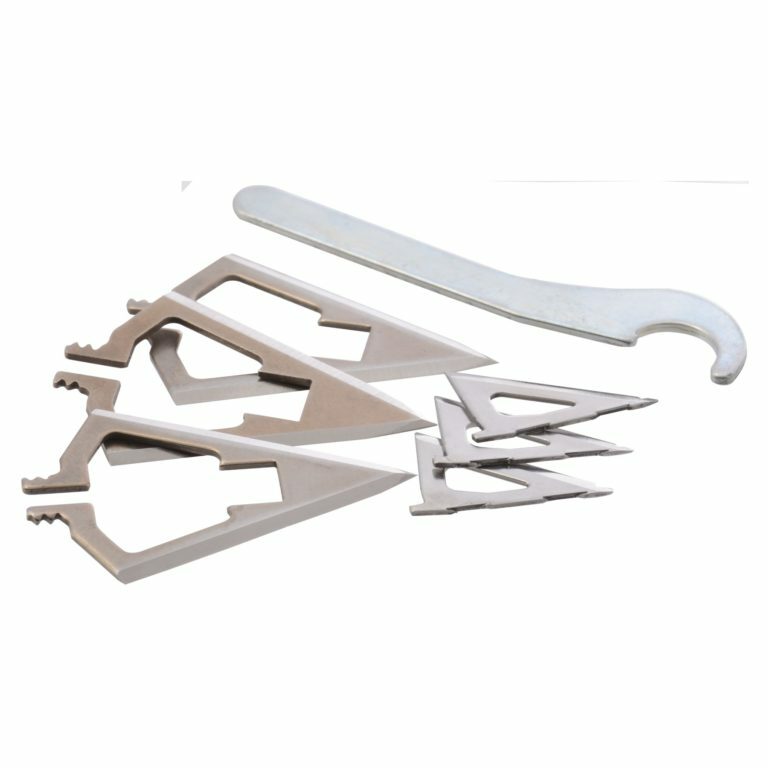 Replacement blade kit for Sharpshooter 100 grain broadhead. Kit includes 3 main blades, 6 bleeder blades and a washer wrench. Newer models with hex shaped washers do not require the wrench that is included with the kit.